With decks off the living room and master bedroom, guests staying in Ocean One 415 enjoy panoramic views of the ocean and oceanfront pool leading to the beach. 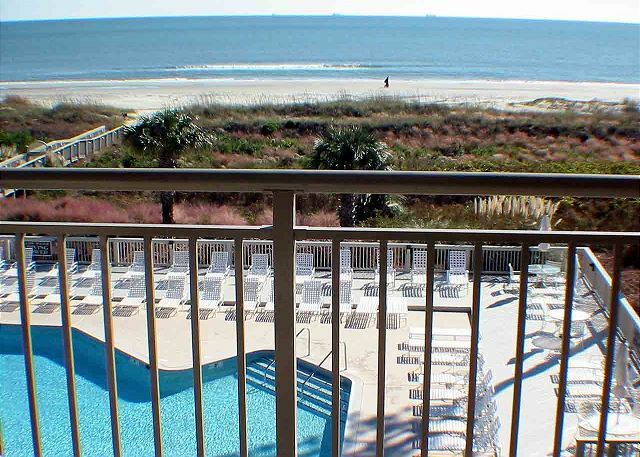 4th floor oceanfront condo sleeps 4 people comfortably with a king bed in the master bedroom, and a queen in bedroom 2. After hours in the surf, vacationers rinse under the outdoor shower located on the complex's private beach walkway and then dip into the oceanfront swimming pool. 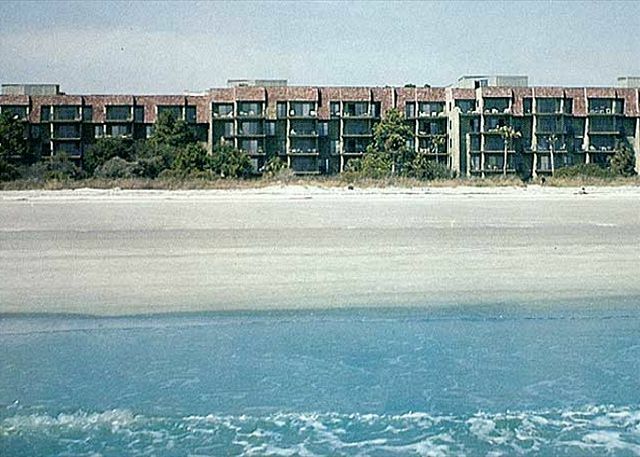 Ocean One is a five story elevator building located in South Forest Beach. 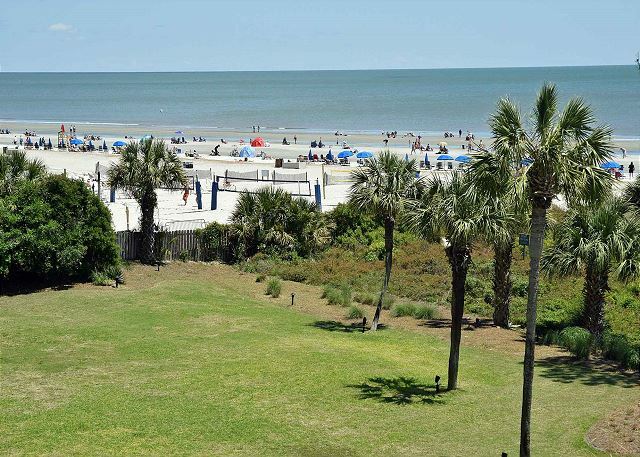 Among the amenities offered throughout Hilton Head Island, Ocean One is one block from the Coligny Beach Market, a quaint downtown area that offers guests a wide selection of restaurants, shopping venues, and entertainment. A great view of the ocean, two balconies. The bathrooms are small and outdated. The furniture is also outdated. Also there is noise from local music late into the night if doors are open to catch the ocean sounds and breeze. We had a great time in our rental. It was clean and just what we needed for the week. What a great condo. Plenty of space. Very clean. Our master bedroom had an additional balcony which was nice. Mattresses were very comfortable. Fabulous Favorite on Forest Beach! 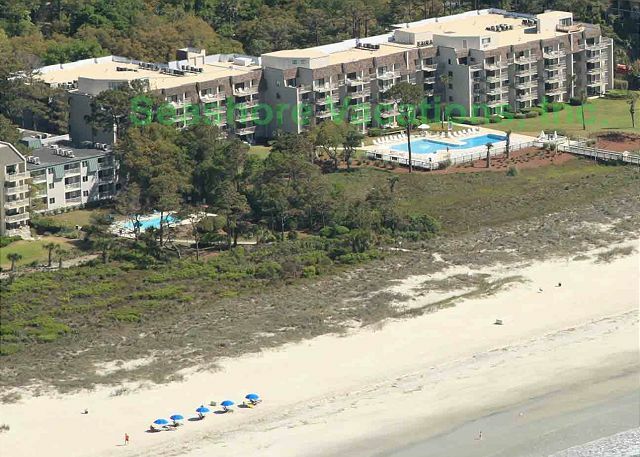 Ocean One is our favorite rental property location on Hilton Head. The 415 unit is fabulous for two couples or a family of four. The view is GORGEOUS 4th-fl ocean! Other than lacking nice pots/pans and kitchen appointments, it's well decorated and comfortable. The master bed sleeps nicely. Forget the dishwasher! We chose to hand wash as it left food particles on dishes, it was rusty inside and there were so many prongs missing. 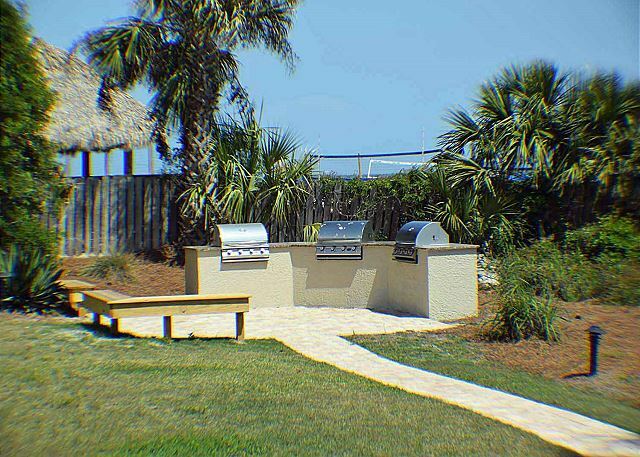 We loved the new grills on property, as they give lots of options for cooking. OVER ALL .... LOVELY! One of the most well provisioned condos I have ever stayed in! The condo had everything. Very close to shopping and restaurants. We had a wonderful, peaceful, and relaxed week at Ocean One 415. Beautiful condo. The fourth floor view was fantastic. Seashore Vacations has taken care of us for nearly 20 years. We try to go back at least twice each year. Just this past July were were at Ocean One with about 24 family members and they all rented from Ocean One and loved the entire week. It is always fantastic. We will be doing that again soon. 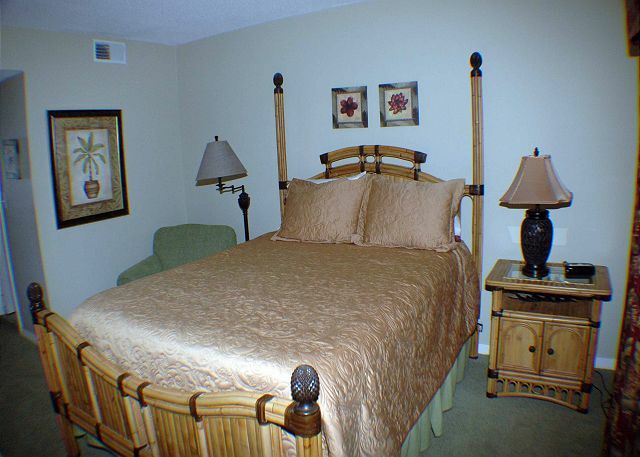 Have stayed in this unit several times and have always been very satisfied with the location and the experience. 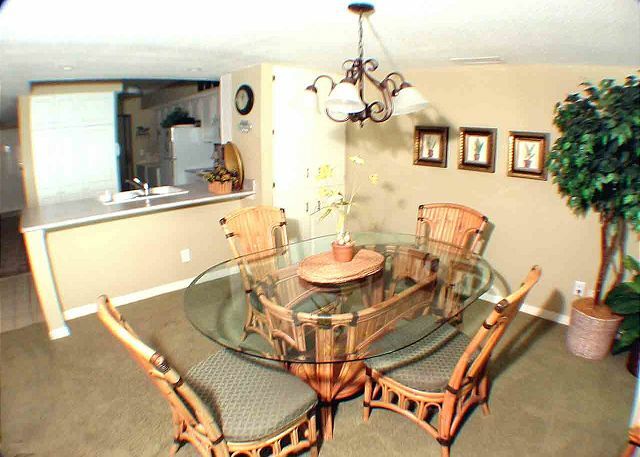 Only area for improvement is that furniture is somewhat dated and older. Beds are a bit high and mattresses could be more comfortable - not a huge problem but could be better. 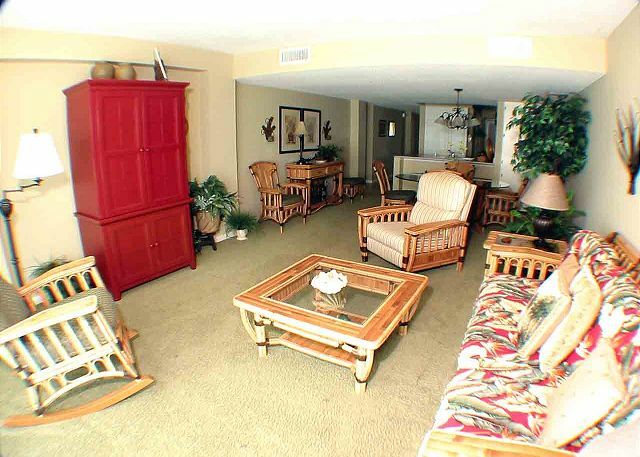 Seashore Vacations professionals are wonderful and always attentive and helpful. Been staying in 415 on and off for almost 30 years. Love the unit but its getting a little tired and a refresh upgrade would be appreciated. We had three units this year and the other two were both upgraded and I guess made me take a closer look at 415. Stay was very good. Excellent location, right on the beach . Coligny Plaza is short walk and had restaurants, grocery store, etc. We rented the same unit as last year. It seemed cleaner & fresher this year. I do think both bathrooms need new shower heads and stoppers for the tub (only had 1). Otherwise, we really like #415. Absolutely awesome!! 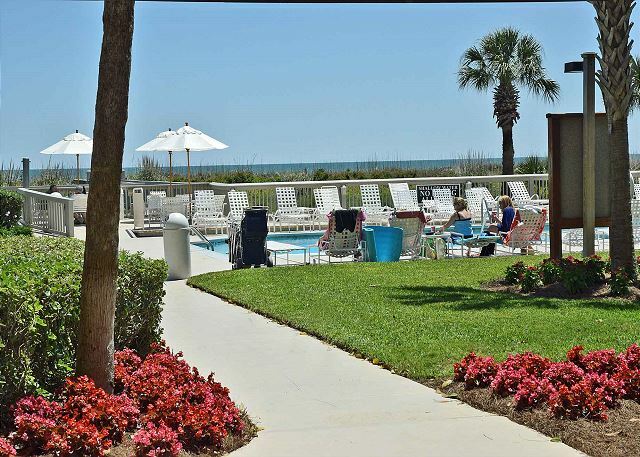 Seashore Vacations persons were great, customer service and follow up. They called to let us know we could get in early, which was fabulous. We love the location of Ocean One and unit 415 was just lovely. Couldn't have had better ocean views! Ocean One's maintenance staff for the pool and grounds were immaculate and very professional ... from the security guards to the landscaping crew!! The unit was decorated very nicely and the mattress was great. It had just a couple issues (baths could be updated, shower head in master was just ok), most clocks didn't work (who cares on vacay, right?) ... minor issues. Great place overall!! We had rented 415 for many years but as our family got bigger we moved on. The unit has been upgraded and was very nice. The shower heads and shower curtains need to be replaced in both bathrooms. Over all very nice. Would rent again in the future. We have stayed at this condo a few times now, although we feel some things need to be updated, we still like the condo and the view from this one is excellent ! It is obvious that the condo's owner take great pride in their rental unit. 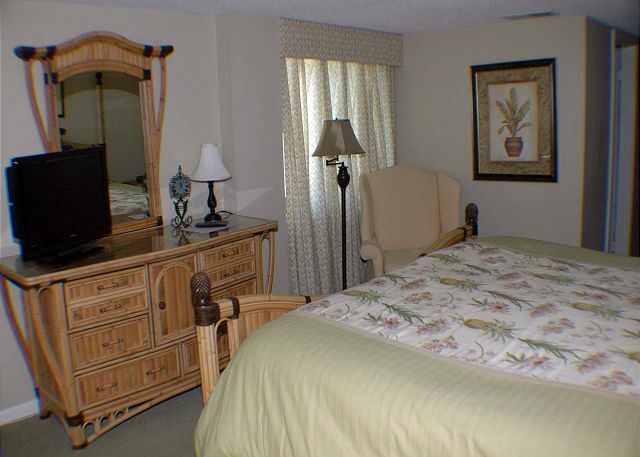 The unit is decorated very well and has everything you may need. Great Weeek at the Beach and Pool! We had a great stay in Ocean One 415. It was neat, clean, nice/tropical dcor, and comfortable. The view couldn't be better and the pool was super convenient to keep kids busy. Kitchen was adequate and we cooked in most nights. Dishwasher, carpets, and bathrooms are getting a little old and worn and should probably be updated. Overall, a great place to stay! Magnificent, always a pleasure at ocean one. Our stay was great, the condo's furnishings were terrific, looked like it was an interior design magazine show house. Please pass my compliments on to the owner. 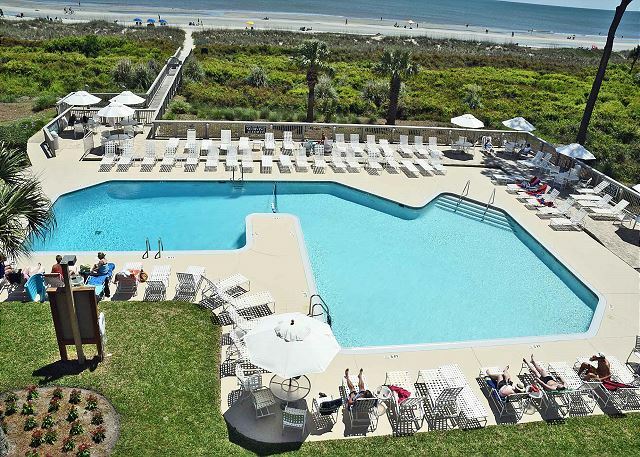 I would like to use it again on my next visit to Hilton Head, as soon as I have the dates I will be contacting you for reservations. 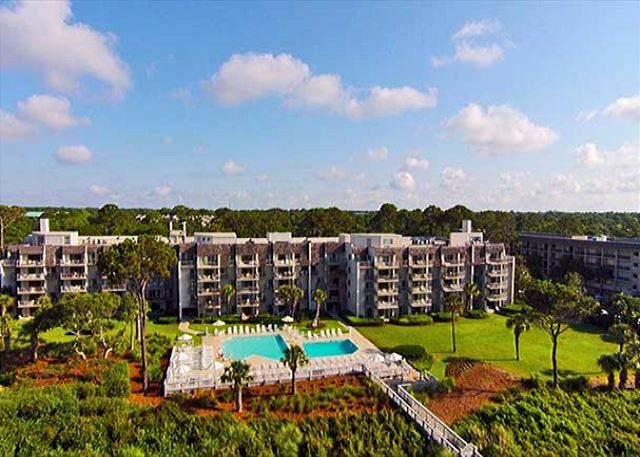 The Ocean One property is beautifully landscaped and maintained. The large pool is sparkling clean, as are the nearby restrooms. 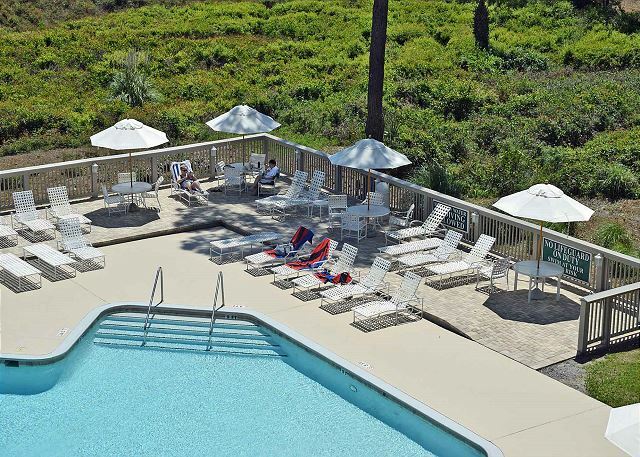 Pool area is furnished with numerous umbrella tables and lounge chairs. Easy access to wide beach. Unit 415 was the nicest unit we ever stayed in there--beautifully decorated and accessorized throughout! Obvious recent updates; very homey. 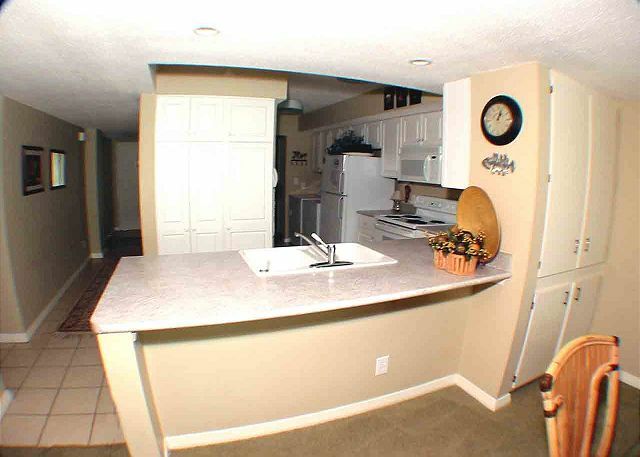 Property location is very convenient for walking to stores and restaurants. We simply park our car and relax for the week! The condo was very nice and the view was wonderful. The location was close to everything, Coligny Plaza was within walking distance and you have the Tiki Hut next door if you want to enjoy a drink and music. Definetly recommend this condo and this location to everyone. love Ocean One also. Several years ago after checking in one of the children commented That it was "just like coming home"
We have stayed at the same condo several times and have always enjoyed it. It was clean, had a great view, and was excellent, which is why we have stayed there numerous times. Unfortunately, our son had to go into the hospital on Monday and we had to leave on Tuesday to track his condition. Our leaving had nothing to do with the condition of the condo, it was simply a family emergengy. The overall experience was quite good. However, the bathrooms were a little bit of a struggle. 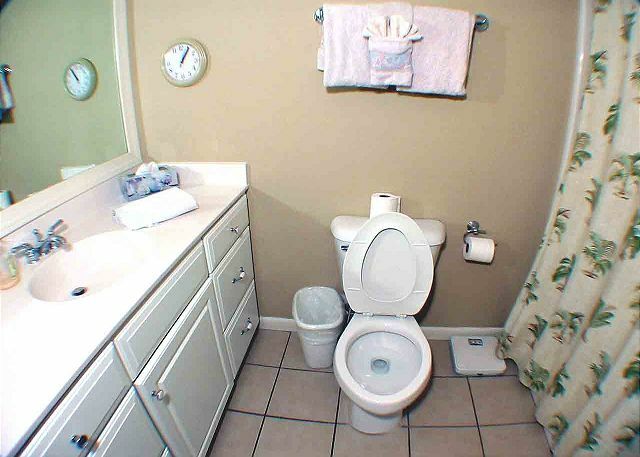 Because of the way that the doors to the bathrooms open, you had to actually go into the bathroom and stand next to the tub in order to close the door, or sit in a very interesting position on the toilet in order to close the doors. Also, the scree door would not lock, which was a little bit of an uncomfortable situation with a 3 year old and very mobile 8 month old, being able to get out onto the balcony with no supervision. Besdies these two main door issues and small things like paint needing touched up, moldings coming loose etc. our stay was absolutely amazing! The veiw was fantastic, everything was spotless when we got there for check in as well. Close to Coliginy & great view & ocean access - overall a good experience. This condo is the best location on the island. It is a real pleasure to wake up each morning with such a stunning view of the ocean. 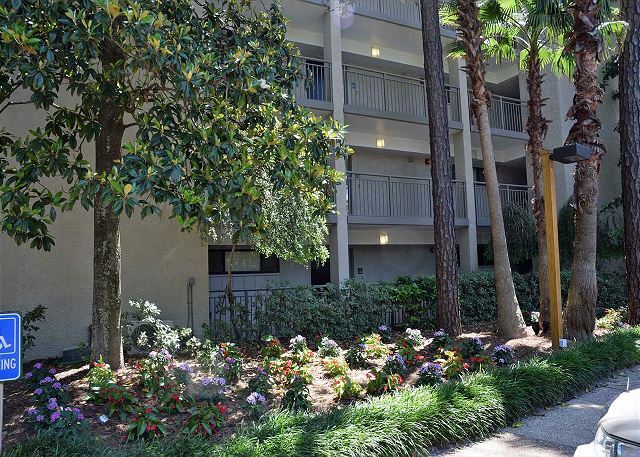 The pool is in front of the balcony with shopping and dining at Coligny Plaza just across the street. You couldn't ask for more. 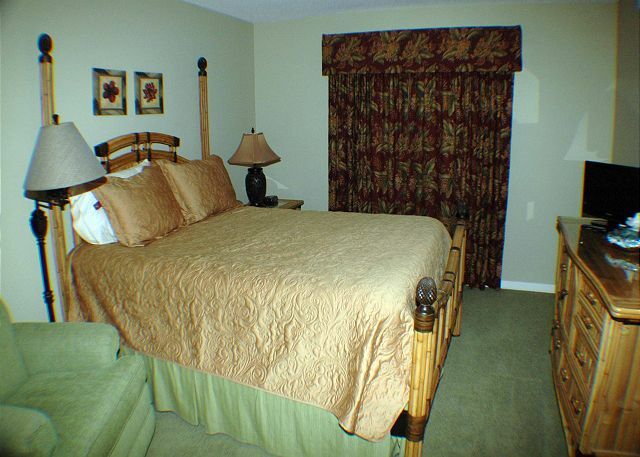 The condo is always very clean and the furnishings are very nice. This is my favorite place!! 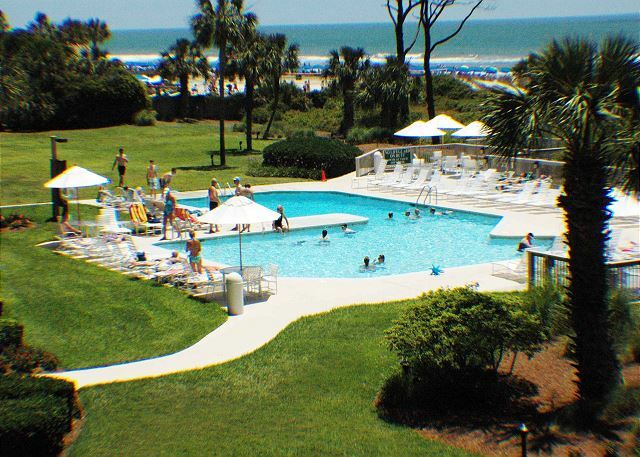 PS Seashore Vacations is a great rental agency. Always so friendly, nice and very accomodating. 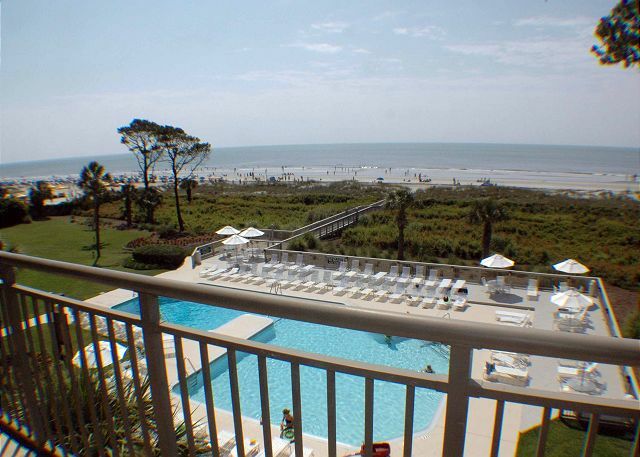 We enjoyed the property, closeness to Coliginy, and family times at HHI. The stay was very enjoyable. The condo was excellent. At the elevator on the first floor the floor is raised right at the entrance to the elevator. My wife tripped over the raised area and hit her knee. I suggest you acquire some yellow and black stripped tape and place it just before the raised area to make sure people are aware of this. 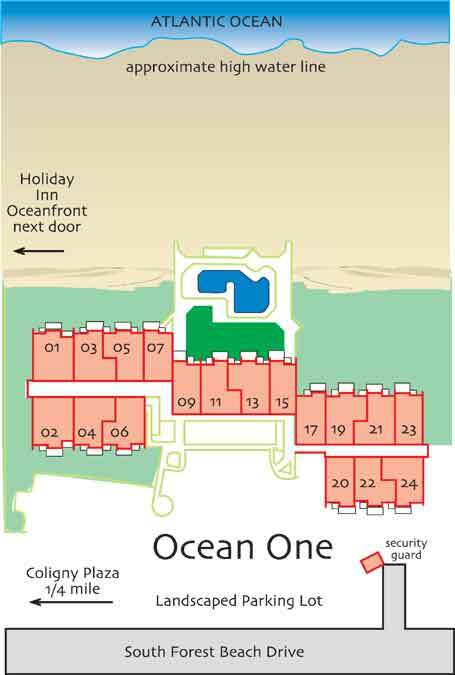 We have vacationed at Ocean One for years. 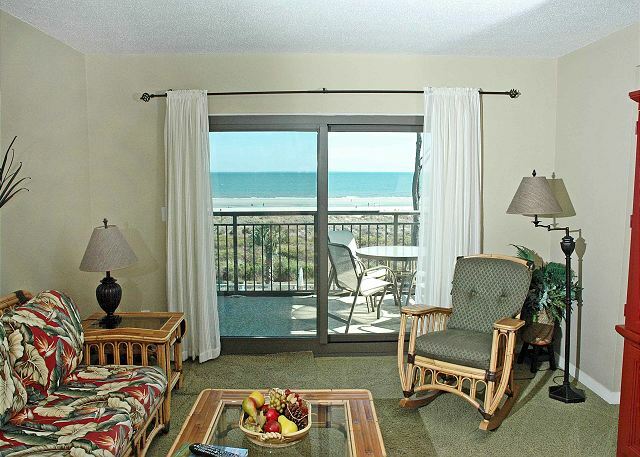 The efficiency, courtesy and effort of Seashore Vacations have made each stay exceptional. Staff at Seashore Vacations are the best! Always helpful and responsive. Maintenance man at facility was also very helpful in addressing a problem with patio furniture. 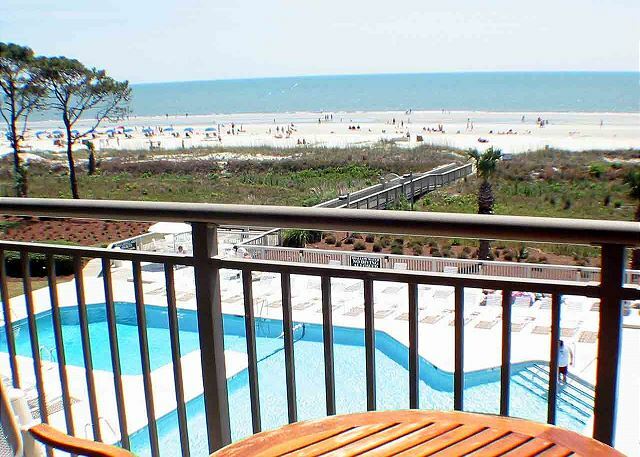 I love Hilton Head,I love the place we stay,Ocean 0ne, we used to stay at courtside but since we have a 2 1/2 year old granddaughter it is much more easier than having to walk across the street with he and safer, besides the place is much nicer and so is the view. We stay in 415 this year and last year 315 and they both are very nice. The hot water wasn't working correctly. Sometimes the showers had hot water sometimes it was only lukewarm, even when the sink had hot water. Overall though, the view was great! We would rent this unit again. Our stay was very enjoyable. Being on the fourth floor provides and excellent view from the balcony. The short distance amenitities (grocery stores, restaurants,etc.) made things very convenient. Our thanks for a great vacation. Our stay was very enjoyable. The area is very conducive to relaxation and not very crowded. We're able to move around Hilton Head very easily. Would suggest new bed clothing. It hasn't changed in 4 years. Will be back next year.